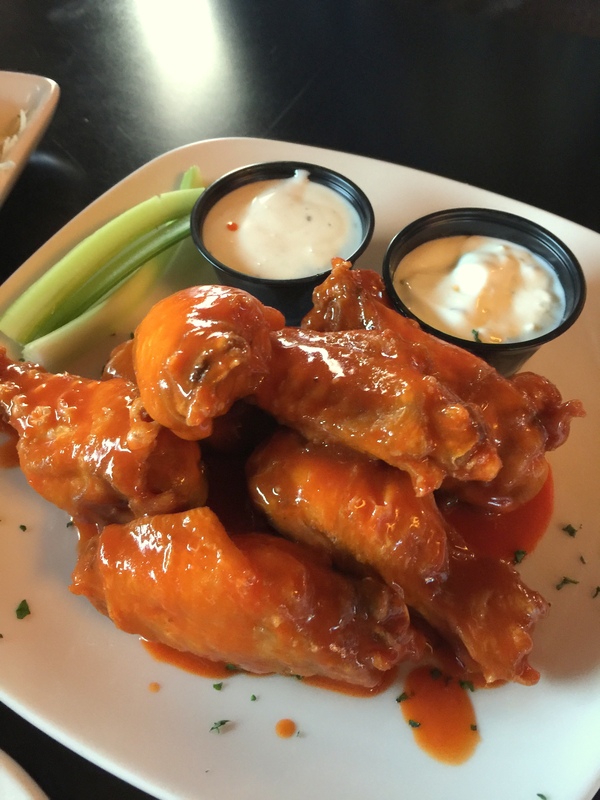 You’re in Kenosha and craving awesome buffalo wings. What do you do? 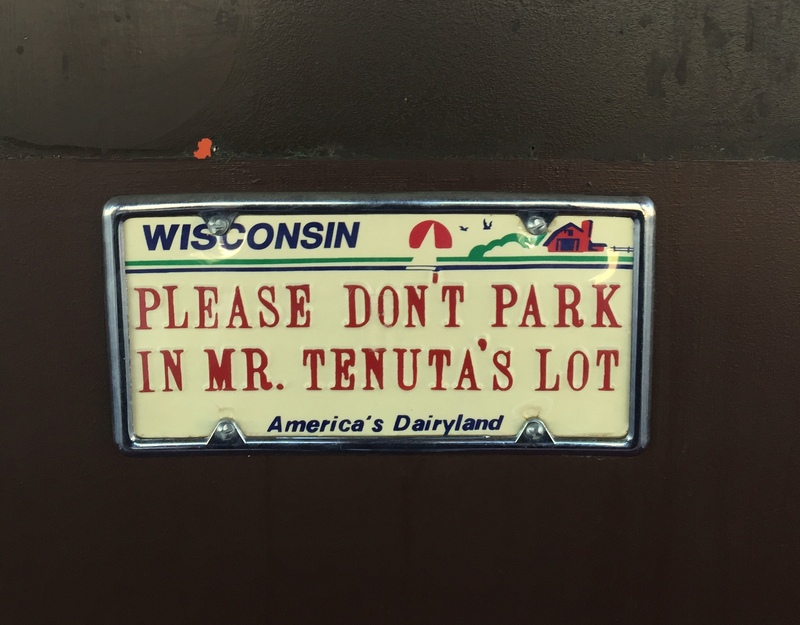 Here is what you do — drive to Racine. 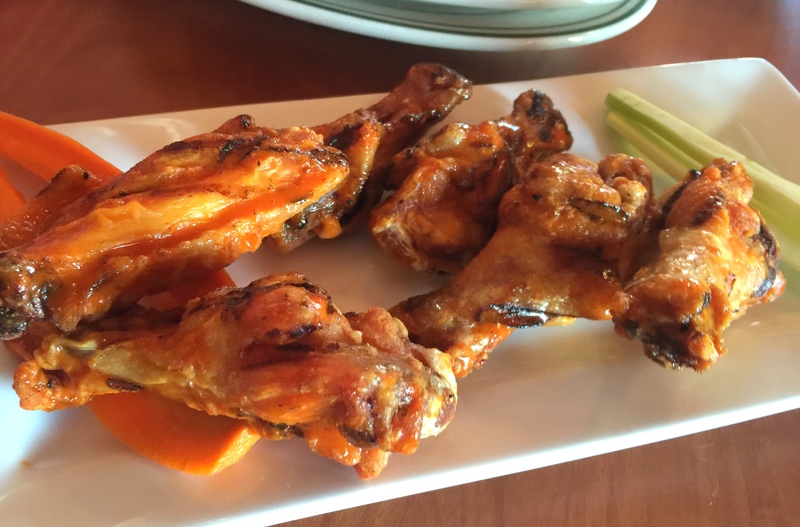 We asked our readers to nominate Kenosha places that have the BEST buffalo wings last week and we only received a smattering of responses. This was curious. Wings are not difficult to make but do require cooking precision and some trouble shooting. We took three of the page suggestions and tried the wings. One place we can’t recommend, the second place the wings were passable, and the third place the wings were decent but the wing menu was limited. 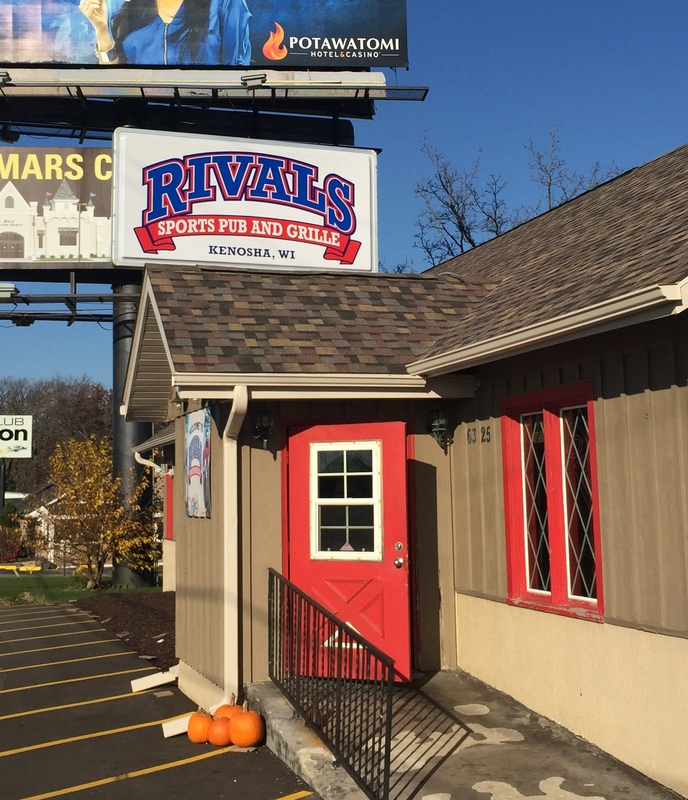 Rivals is adjacent to I-94 in Kenosha and is a sports bar with a fairly good-sized menu. 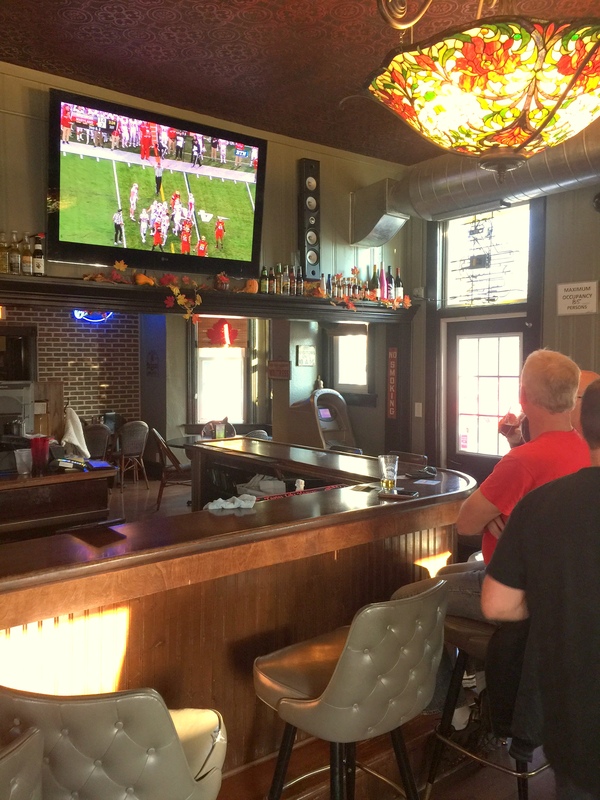 We arrived Saturday shortly before the Wisconsin game and only a few tables were filled. We ordered six buffalo grilled wings for $6.95. Grilled wings have become increasingly common in Racine with local favorite Scores (Facebook page linked) leading the charge. What’s great with grilled wings is that the sauce is given a chance to caramelize and adhere nicely to the exterior of the wing. Unfortunately the Rivals wings didn’t make the cut. The wings were overcooked and the sauce was almost non-existent after the wings were placed on the grill. Not recommended. We also tried the deep fried wings with the New Orleans Bourbon and although the sauce was visible, it wasn’t great. Plus, the wings were again overcooked. The ranch served with the wings was low quality. Homemade dressings make a HUGE difference. Siebert’s Pub, 8403 Antioch Road, Salem, Wisconsin. This historic pub dates back to 1880 and looks like an old stagecoach stop. The interior is updated and decorated for autumn but still retains the historic charm. We liked this place. 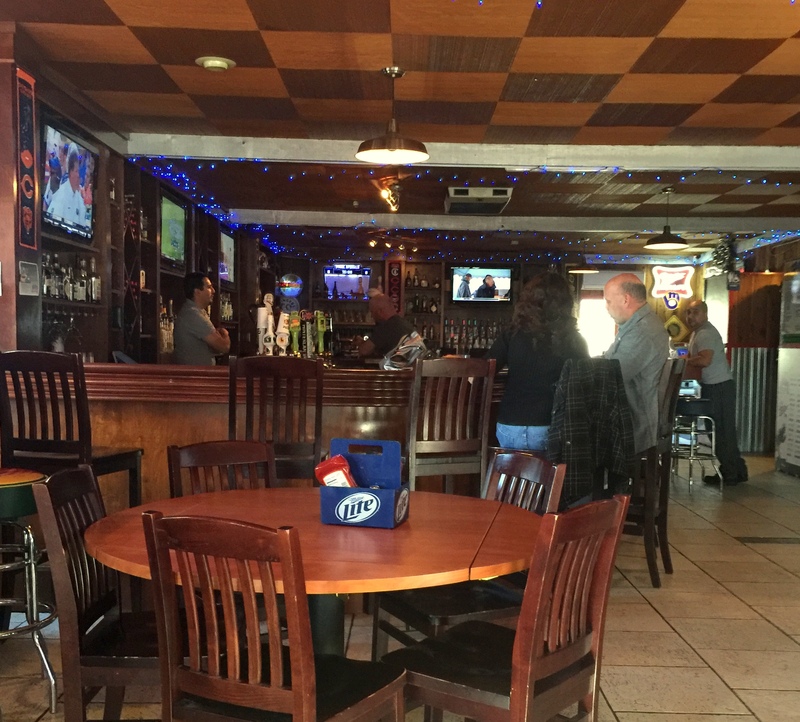 Siebert’s offers a full dinner menu and seating. The appetizer list included many items that were a step above typical bar food, so we were intrigued. The wings were reasonably priced at six for $5 with several sauces. We tried the Buffalo Sauce as well as the Stout Sauce, which was sort of a bbq-beer sauce. The wings arrived with ranch and chunky bleu cheese dressing and a couple pieces of celery. The plating was nice. The wings were nicely cooked but the sauce wasn’t sticking to the wings and they didn’t have that crisp exterior. The wings were decent — but unremarkable. The Stout Sauce wings were the same. Ron’s Place, 3301 52nd Street, Kenosha. 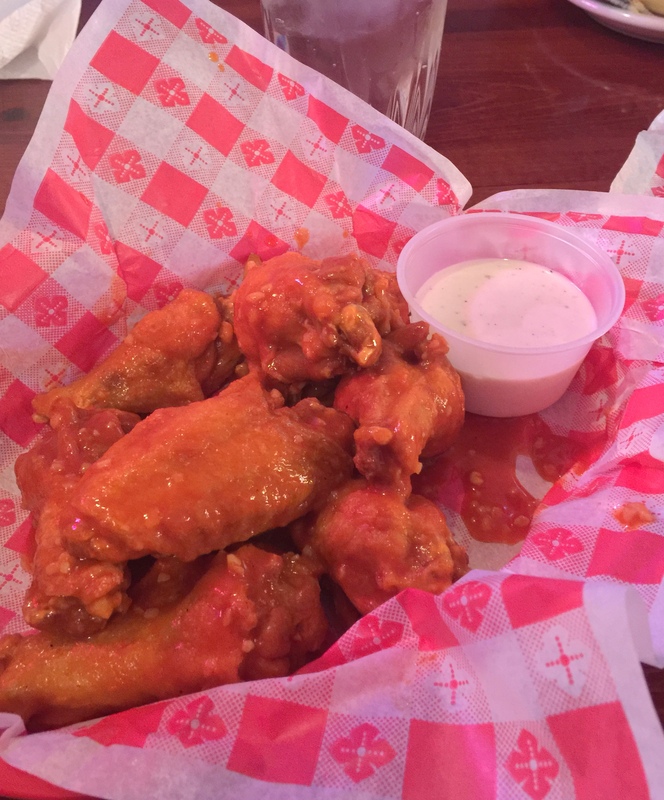 For being a place that focuses on burgers and long islands, Ron’s wings were pretty darn good — as long as you are fine with one flavor of sauce and ranch not bleu cheese dressing. 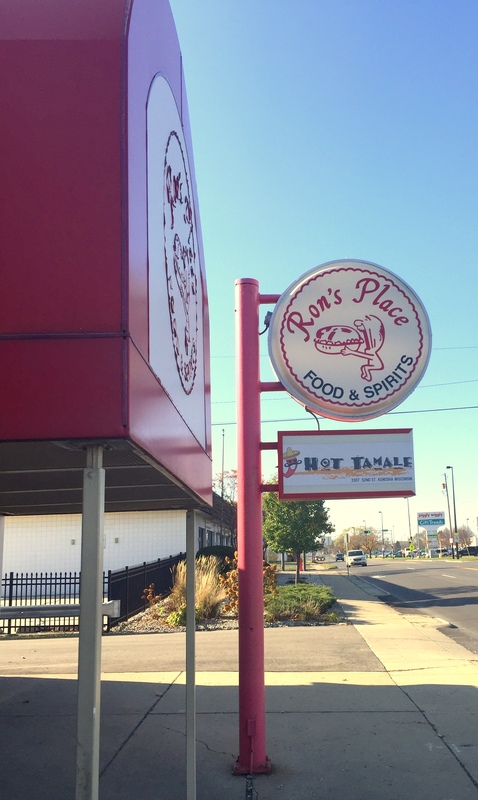 Ron’s Place opened in 1972 and is a favorite of SE Wisconsin Food Talkers for their burgers and drinks. 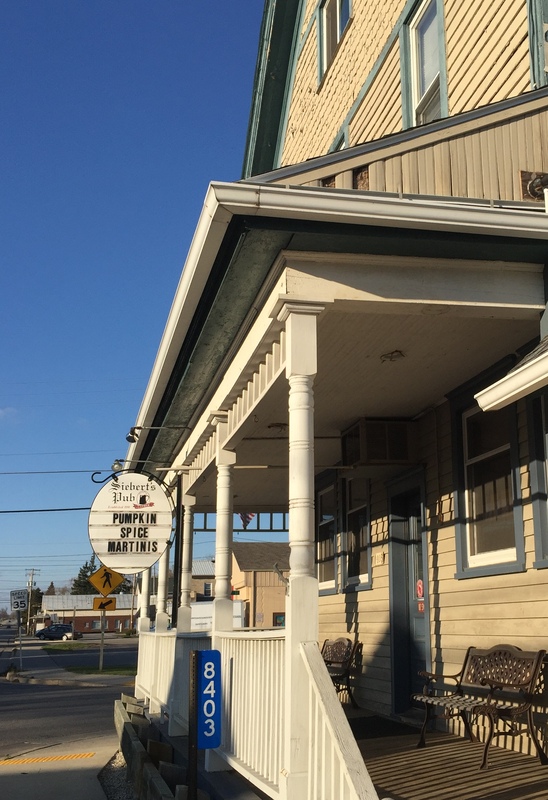 Located directly next to Tenuta’s Italian Grocery, Ron’s Place is an easy stop for a drink after stocking up on parmigiana and salami. Just make sure to move your car to Ron’s back lot after shopping. 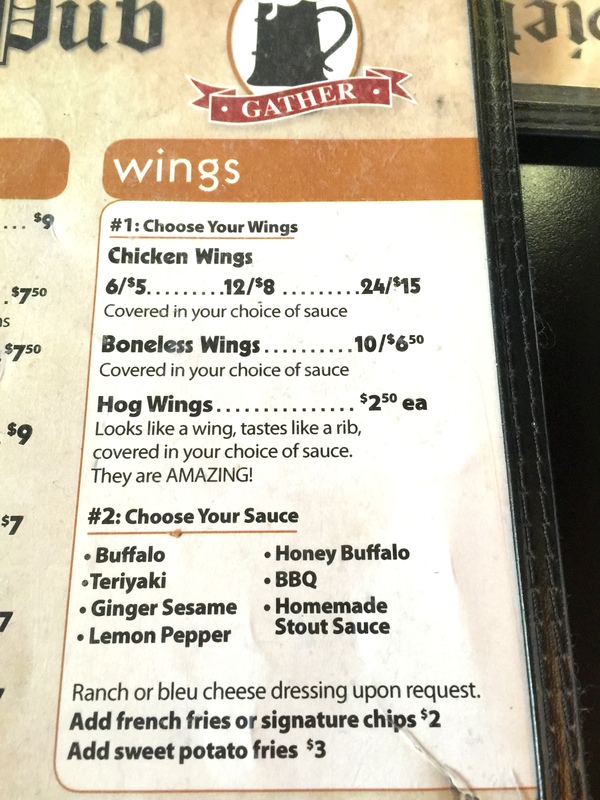 There are no sauce choices – the standard sauce is a hot buffalo which had some heat and good flavor. If you don’t like spicy food then do not order these wings. 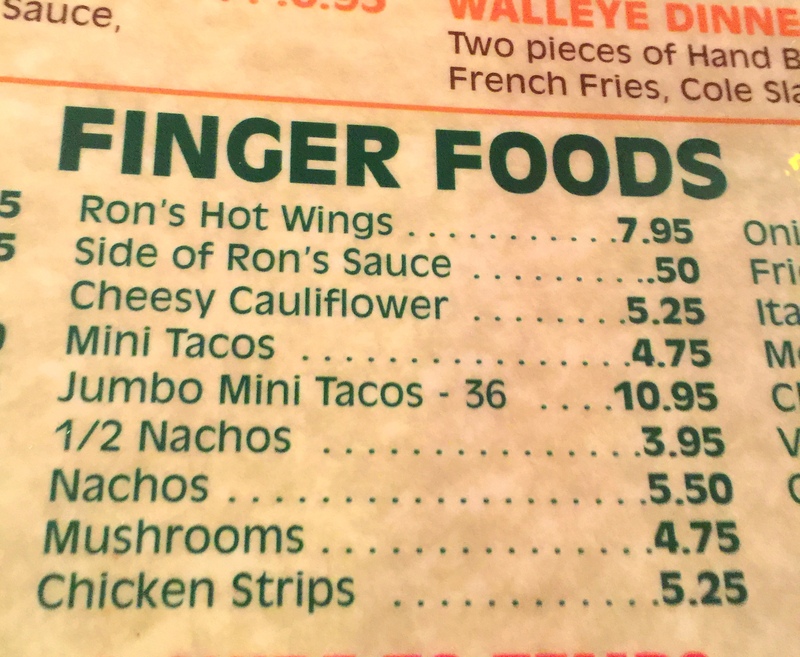 Ron’s wings did not come with celery or bleu cheese. Bottom line the wings were decent hot wings but with bleu cheese dressing or celery or any alternative sauce choices, its not really a wing destination. The price was certainly fair for the amount of wings served. Don’t worry Kenosha residents, simply head up to Racine, which has at least three places serving top-level buffalo wings with an array of sauces. My favorite is Racine-style: sauced and grilled.